Tornadoes occur on every continent except for Antarctica and can occur almost anywhere in the United States, although they are most prevalent in "Tornado Alley" in the central portion of the country. 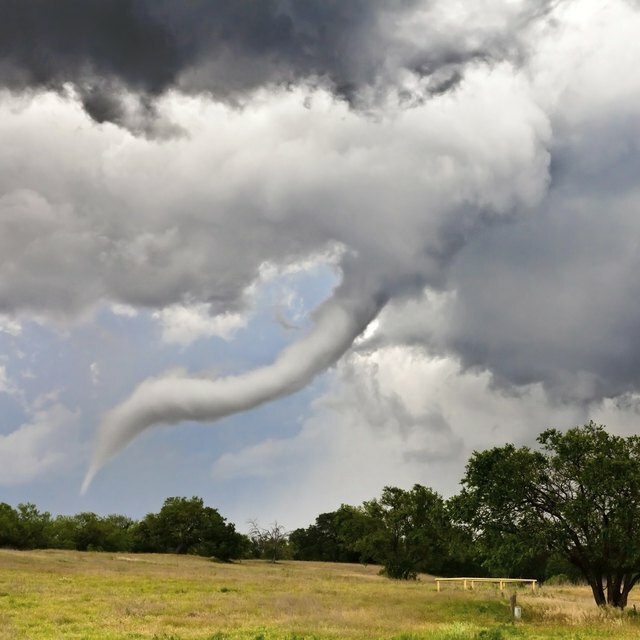 Tornadoes form when warm, moist air meets cool, dry air and the air starts rotating, forming a spinning column of air that has the potential to destroy buildings, uproot trees and cause other serious devastation. 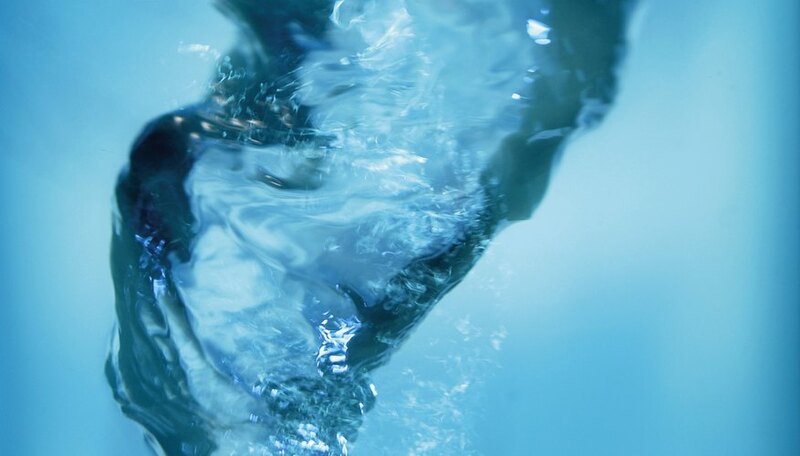 One way to safely study the way air in a tornado moves is to create a water vortex using a bottle and some dishwashing liquid. Find a clear, 2-liter plastic bottle or clear glass canning jar with a tight-fitting lid that will not leak. Fill the bottle or jar up about three-fourths full with water. Put about three drops of dishwashing liquid in the bottle or jar with the water. Add a few pinches of glitter to the bottle. This will make the mini-tornado easier to see and more interesting to look at. You can also drop a few marbles or similar items into the bottle, if you wish. Put the cap or lid on the bottle or jar tightly, making sure it is completely sealed. Turn the bottle upside down and hold it by the neck with one hand, keeping your other hand on the bottle's bottom. Quickly spin the jar in a circular motion, holding the cap end steady and swirling the opposite end. Observe the movement of water and glitter, as well as any marbles or other items you added. Repeat the swirling as desired. It may take a few attempts to master the technique and create an impressive mini-tornado. University Corporation for Atmospheric Research: Make a Tornado in a Jar! Montana State University Extended University: What is a Tornado? Spartanburg County Office of Emergency Management: How Does a Tornado Work? Ryczkowski, Angela. "How to Make a Tornado in a Bottle Using Dishwashing Liquid." Sciencing, https://sciencing.com/make-tornado-bottle-using-dishwashing-liquid-7965.html. 25 April 2017.